Castor wheel kit for Model No's SSB02E and STB03E. Includes a set of 4 x Ø125mm castor wheels, two of which are locking. 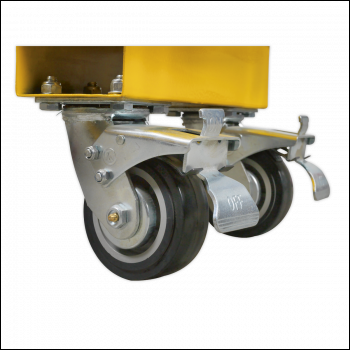 Castor wheel kit for Model No's SSB02E & STB03E. Includes set of 4 x Ø125mm castor wheels, two of which are locking.